When framing needlework, cross stitch and tapestries we carefully stretch the work over a board to hold it taut and so it will be flat and straight. Wherever possible we used traditional lacing techniques as this reduces the risk of damage to your work. As framers we understand the time and care that you’ve invested into your work and we do everything we can to make sure it is displayed beautifully for you and others to enjoy. 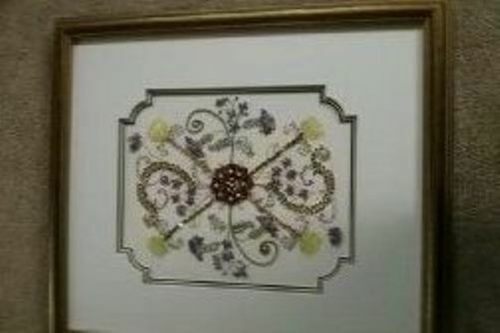 We encourage you to visit to discuss how you would like your needlework framed. High quality custom picture framing and gallery featuring local artists' paintings, photographs, sculptures, glassware and Australian made giftware located in Ballarat.